Blanketed by olive and pistachio orchards generations ago, the Lodge District is fertile land for growing a great family. Wide sidewalks along tree-lined streets lead to two neighborhood parks (and three more on the way), an upcoming elementary school and Riverstone’s first collections of new homes. 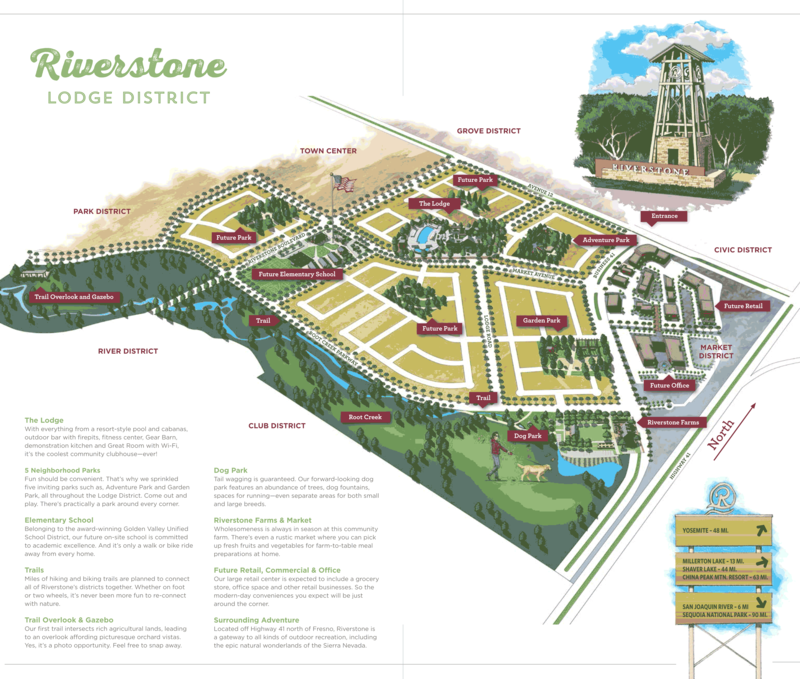 To socialize, stay fit and lounge poolside at the coolest community clubhouse you’ll ever see, The Lodge at Riverstone with its array of exciting amenities is situated right in the district’s heart—practically steps away from residents’ front doors. Click here to view The Lodge site plan, and click here to the view the elevation rendering. Click here to print or download The Lodge District Amenities Map. Discover the stylish and innovative residences from McCaffrey Homes, a local company built on three generations of family. 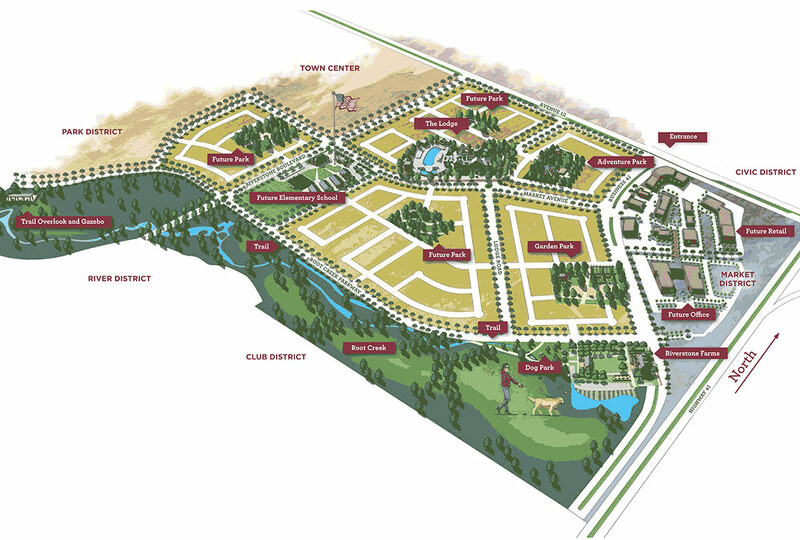 Realize the American Dream at Riverstone from one of America’s largest and most trusted homebuilders. Known as America’s Builder, D.R. Horton crafts livable homes with unmatched efficiencies and uncompromising quality. Riverstone's variety of kid-friendly parks keeps life fresh and fun for homeowners Beth Murdock and Maria Gomez. This is a park that definitely lives up to its name. The active play area designed for two to 12-year-olds features play structures, climbing boulders and three different slides—all with a soft, spongy ground to safely cushion youngsters’ falls. There’s also a small amphitheater where parents can relax while keeping an eye on their children at play. Designed as a place to kick back and enjoy a slower pace of life, this park features barbecue areas, a play structure for the kids and a large communal table ideal for outdoor dining. There’s even a cutting garden where you can snip a variety of fresh flowers and take them home to brighten up your kitchen. Floating lazily down a river on a hot summer day might become your new backyard tradition. Life is looking pretty awesome at Riverstone, isn’t it?